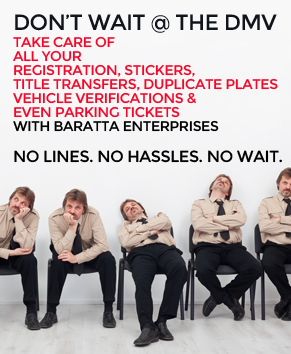 Baratta Enterprises, Inc., – Making Vehicle Registration Convenient And Affordable! Since 1996, Baratta Enterprises, Inc., has assisted busy professionals who value their time! Conveniently located at 222 Atlantic Ave., (3rd & Broadway) with side street parking, and a bilingual staff; Baratta Enterprises (#RS 63824) offers vehicle registration service! NO appointment, NO lines, NO hassles for a minimal service fee. 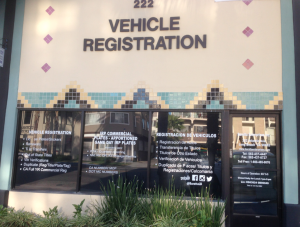 Baratta Enterprises has extensive experience in commercial vehicle registration. 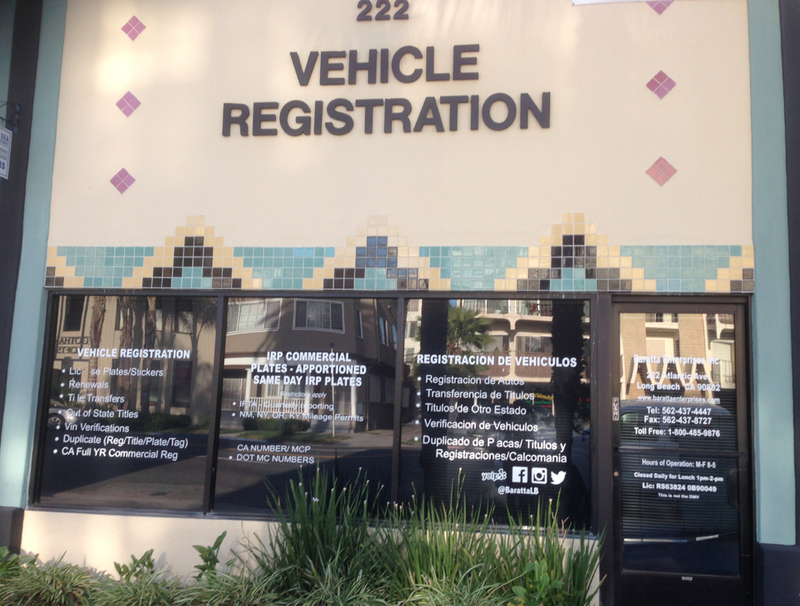 Our company offers a variety of walk-in services for vehicle registration including one-stop shopping for registration renewals, title transfers, duplicate plates, vehicle verifications, commercial vehicles and Interstate Registration Plan (IRP). We process cars, trucks, boats, trailers, buses/limousines and tractors. Baratta Enterprises has taken advantage of technology offered through the Business Partner Automation Program at the Department of Motors Vehicles (DMV) and processes automobile registration renewals and issue tags on the spot! You can even pay your parking citations or check the registration status of a used vehicle before you purchase it. In addition to renewals, we can issue IRP apportioned licensed plates, stickers, and validate temporary registrations at our location. Commercial vehicle registration requires obtaining licenses and permits for owner/operators of tractor/trailers and passenger buses so that they may legally cross state lines nationwide. 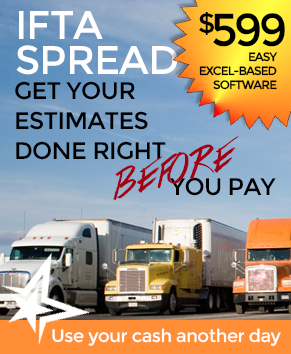 We save you time and money by simplifying the process. We do this by working closely with a variety of regulatory agencies like the Federal Motor Carrier Safety Administration (FMCSA), formerly the Interstate Commerce Commission (ICC), the U. S. Department of Transportation (DOT) and the IRS, just to mention a few. Like all industries, the vehicle registration market has become increasingly competitive. To remain on the cutting-edge of competition, we diversified our services and supervised the design of two industry specific programs for calculation of IRP fees and IFTA quarterly fuel taxes. 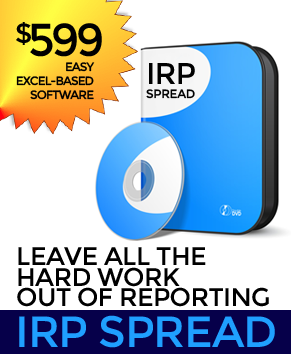 MS-Word and Excel based IRP Spread and IFTA Spread are reasonably priced, user-friendly programs for the management of commercial fleet vehicles. 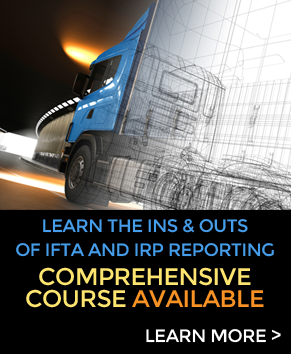 We also provides Interstate Registration Plan (IRP) consulting/training programs and have a seminar teaching IRP processing (by appointment only).